The San Fernando Valley Japanese American Community Center is a non-profit organization recognized as tax-exempt by the IRS under Section 501(c)(3). 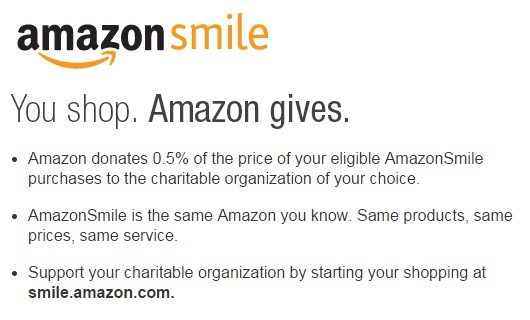 Please note you must use AmazonSmile and list the "San Fernando Valley Japanese American Community Center" as the beneficiary when making your purchase. We gratefully accept donations of all shape and sizes, including non-monetary donations such as real estate, art, etc. Special accomodations can be made if necessary. Please contact Lois Okui at (818) 899-1989, or lois@sfvjacc.com. Please support the San Fernando Valley Japanese American Community Center. You can make a donation by clicking “DONATE”. We currently accept PayPal and major Credit Cards. Should you have any questions, please feel free to call the CC at 818-899-1989. We sincerely appreciate your donations and support! Thank you and we hope to see you soon!